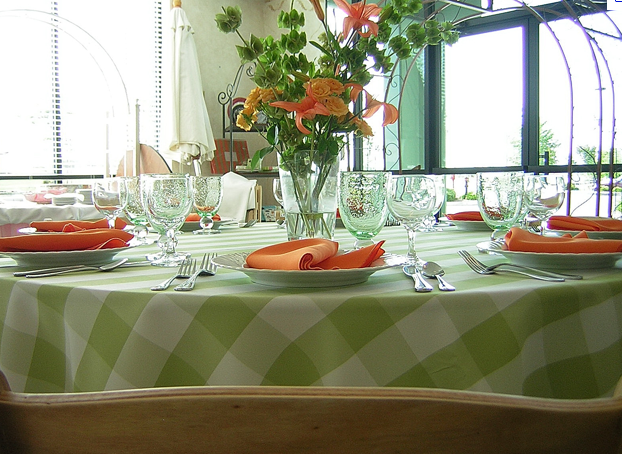 This is the absolutely perfect table style for my wedding, I found it here at Celebrations Party Rentals. 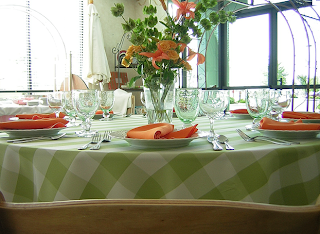 The green table cloth is perfect for my informal backyard wedding and the orange napkins give just a punch of color. I have no idea what kind of flowers these are but I like them too! Obviously you have to picture this table outside over a beautiful green lawn.